Cheiranthus is a hardy perennial but is usually grown as an hardy annual or biannual by gardeners. Cheiranthus is also known as wallflower or Gillyflower. Cheiranthus members can vary in height from 15 to 80 cm in height. It has blossoms that cover all of its stalks and flowers from the late spring to early autumn. Cheiranthus cheiri by Manuel M. Ramos. Life Cycle: Hardy perennial usually grown as a hardy annual or biennial by gardeners. Height: 6 to 30 inches (15 to 75 cm). Native: Asia, Europe, Mediterranean, North and Central America. 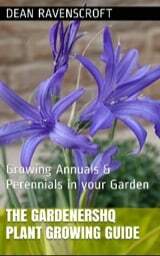 Growing Region: Annuals: Zones 5 to 10. Grown as a perennial in zones 8 to 10. Flowers: Late spring to early autumn. Flower Details: Yellow, orange, pink, blue, purple many other colours and much morphology. Sweet scented. Sow Outdoors: 1/4 inch (6 mm). Early spring or early autumn, with the exception of biennials; these should be sown out from the middle of summer to early autumn. Spacing 6 to 18 inches (15 to 45 cm). Sow Indoors: Use vermiculite. Water from below. Germination time: one to three weeks. Temperature 65 to 75°F (18 to 24°C). Nine or ten weeks in advance. Transplant annuals and perennials outdoors before the last frost; transplant biennials in the middle of summer. Requirements: Full sunlight or light shade. Very good drainage. Ordinary soil. Soil pH 7. Pinch tips. Water during dry periods. Propagate: cutting in spring. 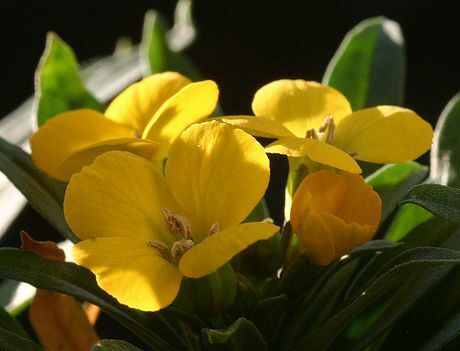 Miscellaneous: Sometimes included in the Erysimum plant genus. If planning to grow Cheiranthus plants outdoors then the seeds should be sown either in early spring or early autumn (if treating as a hardy biennial then they should be planted from the end of summer) at a depth of 7 mm. They should be grown in an area of the garden that is either sunny or partially shaded. 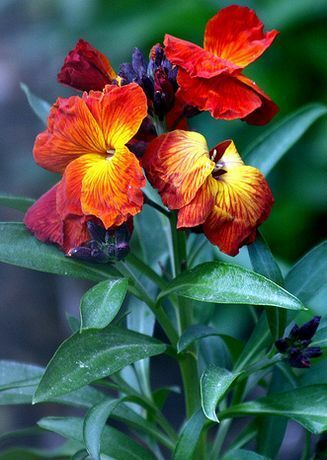 Garden Wallflowers like to grow in a neutral or slightly limy soil that has good drainage. When growing Cheiranthus from seeds indoors they should be prepared about ten weeks before you plant them outdoors in the early spring (middle of summer for biennials). Cheiranthus should be spaced at about 15 cm (small) to 30/40cm apart (others). Once established pinching back the tips will encourage the garden wallflower to become more bushy. If you are growing the plant as an hardy annual then plants should be removed once they have finished flowering. If you require more Cheiranthus plants then you can take cuttings from wallflowers in late spring.